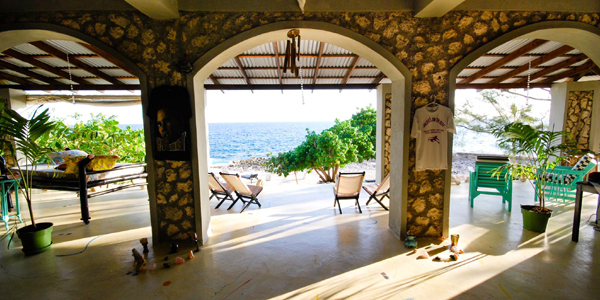 Jackie’s on the Reef is a small boutique Wellness Guesthouse and Spa located in the West End of Negril on the Caribbean Sea. We offer a peaceful and supportive environment in a spacious and serene setting. 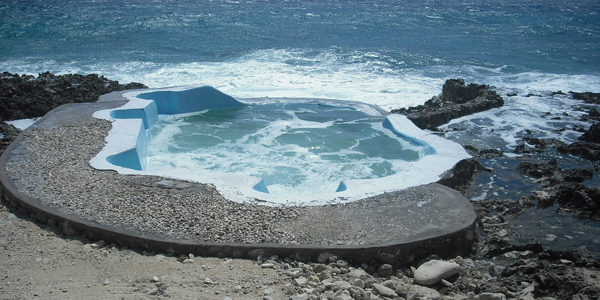 At Jackie's, the Carribean Sea lullabies you to sleep, while the trade Winds keep you cool. The infinite splendor of nature keeps you in awe. They have five rooms, and their facilities include an open veranda facing the ocean in which morning Yoga or meditation classes are held. 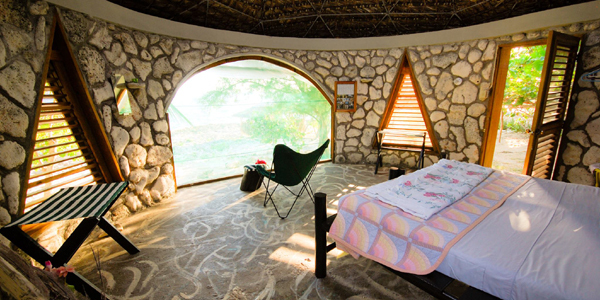 Room rates include organic, healthy and freshly prepared breakfast and dinner plus a morning Yoga class overlooking the Caribbean Sea. The cottage, a cozy temple of rest, has a double bed and private bathroom or you can stay in one of four spacious chambers in the magnificent stone house, with private bathrooms and furnished with two 3/4 size handmade dogwood tree beds. The gourmet eclectic Spa Cuisines are prepared with love on an open wood burning stove. Seasonal organic vegetables and herbs are grown in our own garden. They can design a menu upon special dietary needs such as Vegan, Vegetarian, Raw foods, Gluten free or Fasting with advance notice.